Remains of the Day: What's next? LogMeIn has long provided iOS users with remote access to their PC desktops—and now it's doing so for free. That probably sounds a lot like LogMeIn Ignition, the $30 app that was previously the company's only iOS portal to the service. The company acknowledged as much in a blog post earlier this week, telling users of that app they will get a free upgrade that includes HD remote control, as well as the ability to stream sound and video from their computers. Those features—along with remote printing and other services—are also available in the new LogMeIn app, but require a $40 in-app upgrade to LogMeIn Pro. 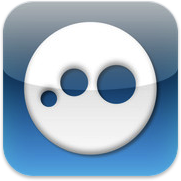 Otherwise, the new LogMeIn app is free, and is compatible with devices running iOS 3.0 or later.